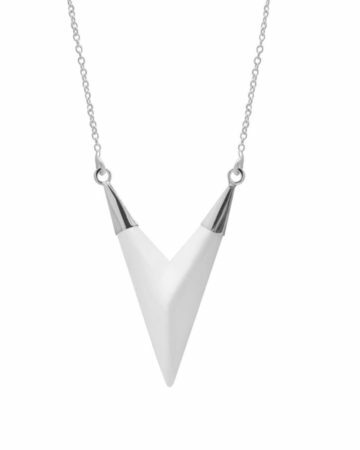 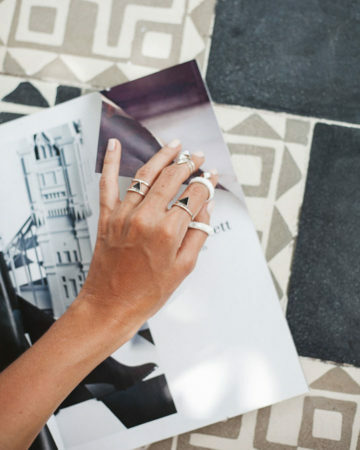 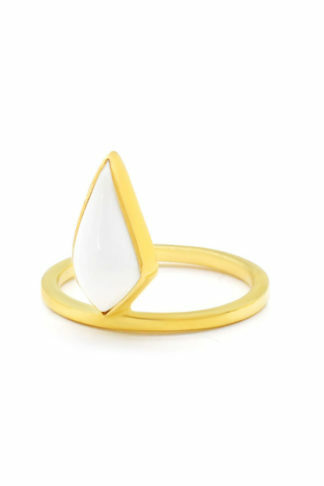 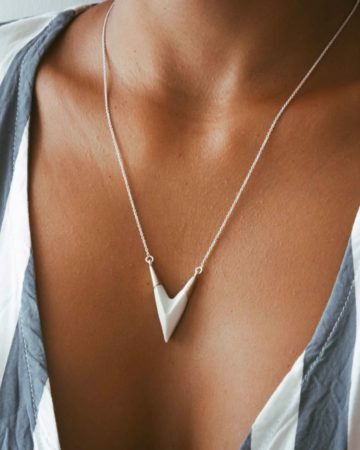 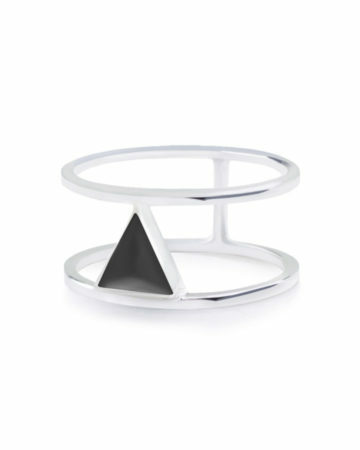 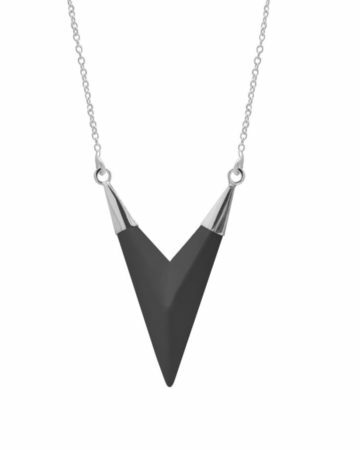 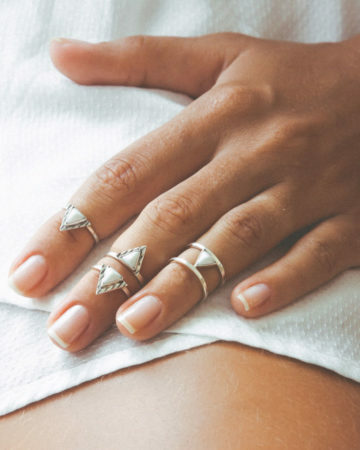 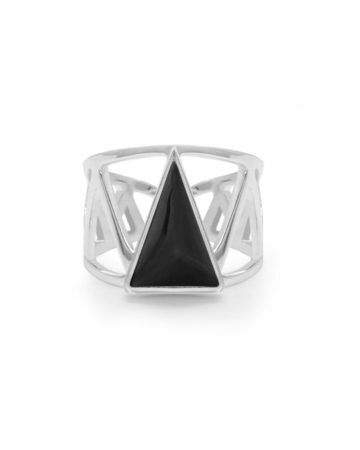 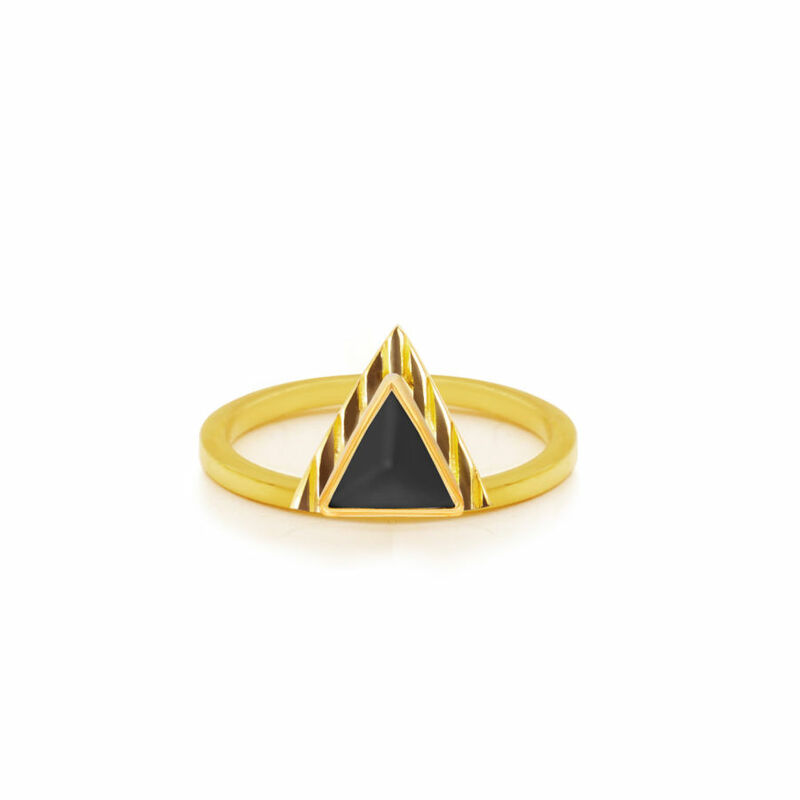 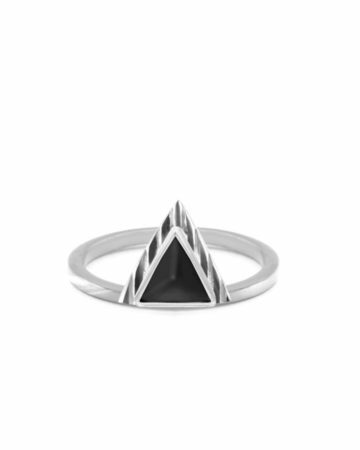 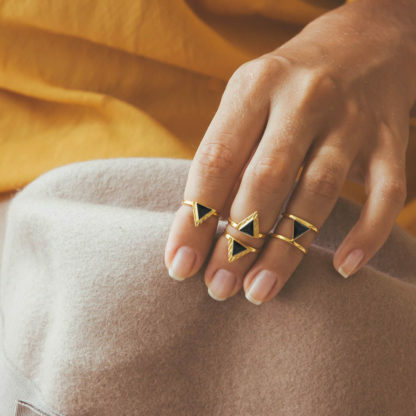 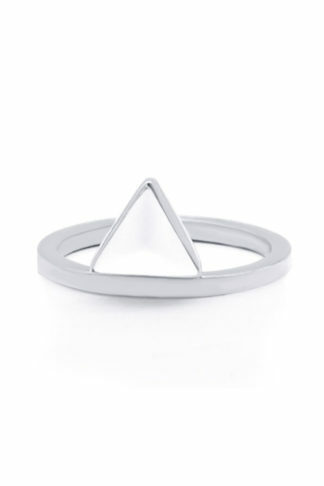 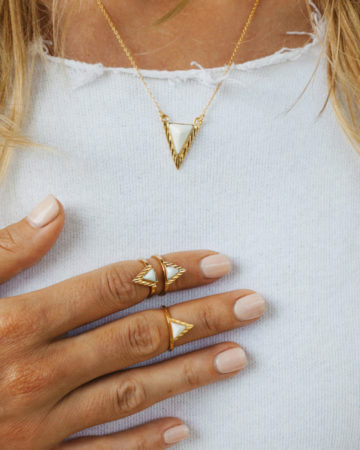 A unique triangular MIDI Ring, topped with a black handcrafted porcelain (Spain). 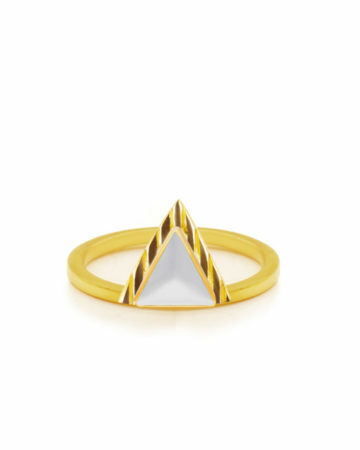 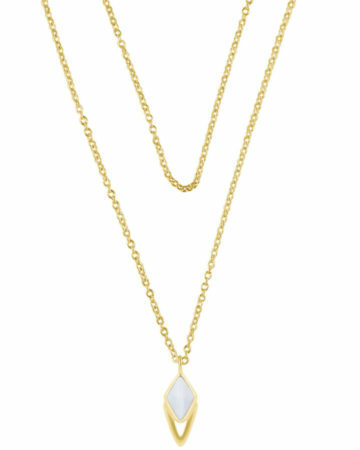 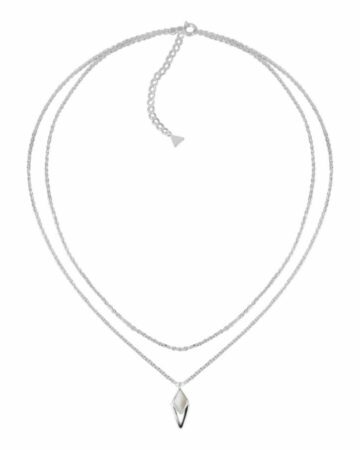 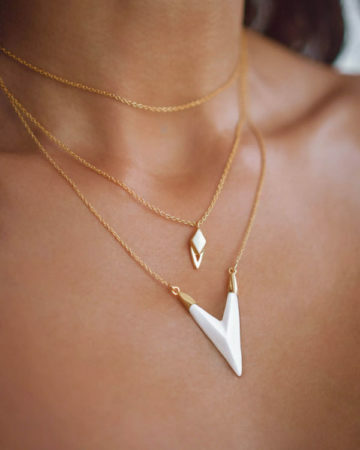 18K Gold-Plated Sterling Silver 925. 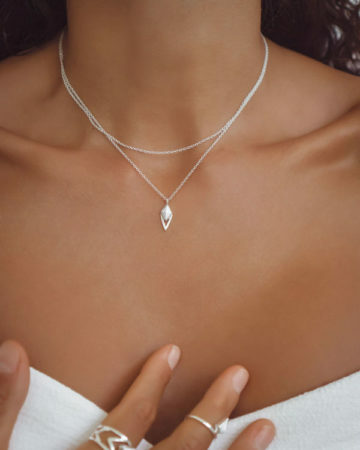 A part of the Elven set. 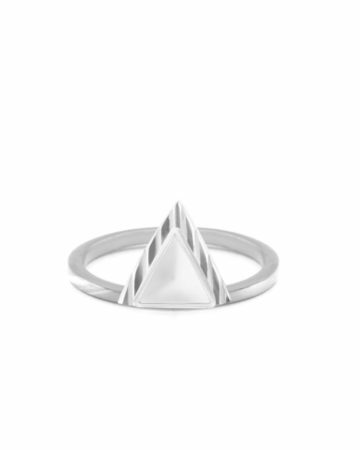 Our bestseller.